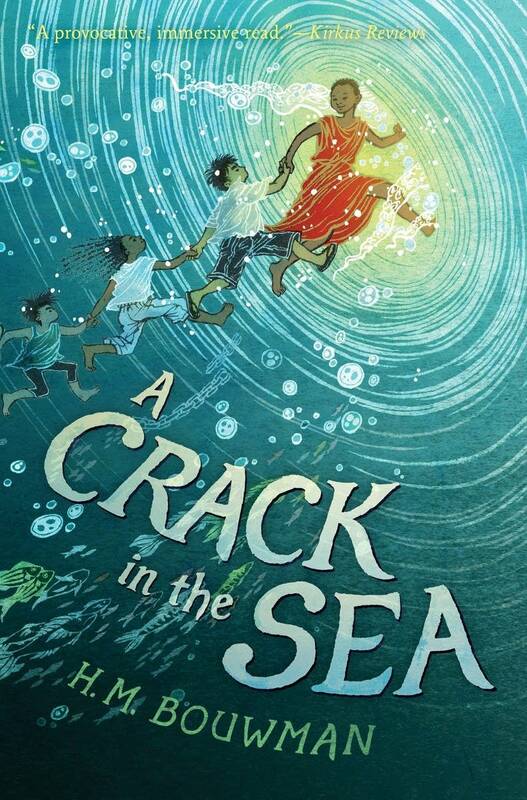 "A Crack in the Sea" opens with an explanation. As with true stories, Venus's story has no beginning. As with fantasy, her tale weaves through everything. The book about her — this book you are holding in your hands right now — will open with Kinchen and Pip and, soon enough, Caesar. We'll arrive at Thanh much, much later. Because it is sometimes the nature of books to tell things in what seems to be the wrong order. Don't forget about Thanh. He's coming. And Venus: will be here all along. St. Paul writer Heather Bouwman spent several years melding facts and fantasy for the novel. It's a rollicking adventure story, aimed at middle schoolers. Much is set in a world with a freshwater ocean, where half of the population lives on a group of islands. The other half lives on Raftworld, an entire country floating on a system of rafts lashed together. The novel begins with the Raftworld ruler, the Raftking, sending for Pip. He's an islander boy known for his ability to talk to fish. Pip's big sister, Kinchen, is deeply worried, because Pip is notoriously unworldly. "[N]ot all there," as she'd once heard a townswoman say, fake-delicately. When the Raftking kidnaps Pip, it launches the siblings on an adventure. It's a journey that ties them together with the other characters: Venus, an African girl captured by slavers in 1781, and Thanh, a boy who in 1978 joins a desperate attempt to escape to freedom as one of the Vietnamese boat people. "If I was asked what it's about, I would say it's a book about forced immigration," Bouwman said. She admits that doesn't sound terribly exciting. But as the young characters discover they have special powers, she builds to a dramatic climax. She hopes the book may spur conversations. "Issues about immigration and refugee-ism are not issues that are foreign to your average 10-year-old," she said. "They are things that I think people are thinking about in this country and elsewhere in the world. So to sort of pretend that they don't exist or we shouldn't talk about them, I think, would be weird." 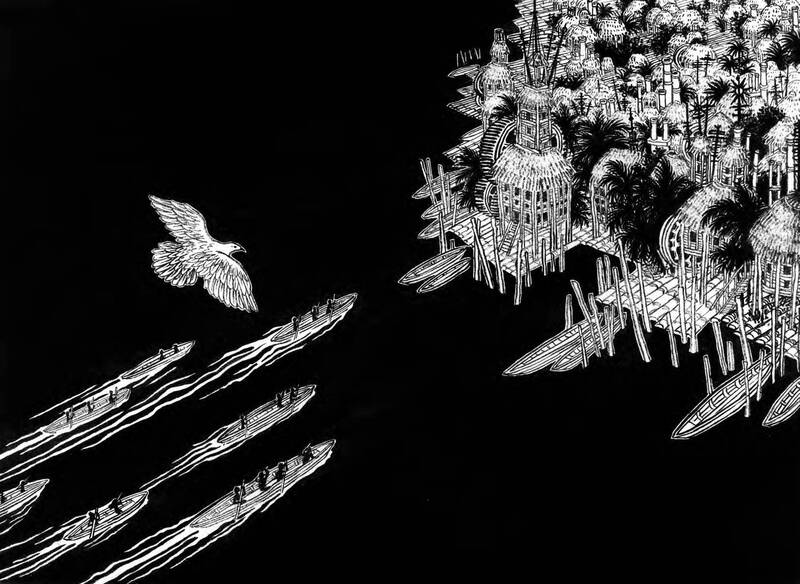 "A Crack in the Sea" may be a fantasy, but Bouwman spent years on historical research. She learned about an infamous 18th century slave ship called the Zong. The crew threw more than 130 slaves overboard while they were still alive and successfully claimed insurance money. "That case is often cited as one of the early turning points in the abolitionist movement in England," said Bouwman. Part of Venus's story involves the Zong. Bouwman also researched the Vietnamese boat people, who set out on the ocean in small crafts to escape government repression. Many died. Bouwman interviewed some survivors. When she asked one man what he missed of his homeland, he said the smell of rice growing in the fields. "And then he said, 'I would miss my mother and my family the most.'" Bouman paused briefly. "I am going to cry as I say this, because it was so moving. But he said, 'I would miss my mother most, but I was able to bring her with me. And so I feel like this is my home now, because wherever your mother is, that's where your home is.'" When she began writing some years ago, she said, she hoped that by the time she finished the book it would be a historical piece. Then came the Syrian refugee crisis. And then the recent election, in which immigration was a major issue. "Even as I was writing it seemed timely," she said. "I guess the sad thing is it still seems timely." But Bouwman hopes her book might help bring some understanding to young readers. She'll read from "A Crack in the Sea" at the University of St. Thomas campus in St. Paul at 3 p.m. Friday.